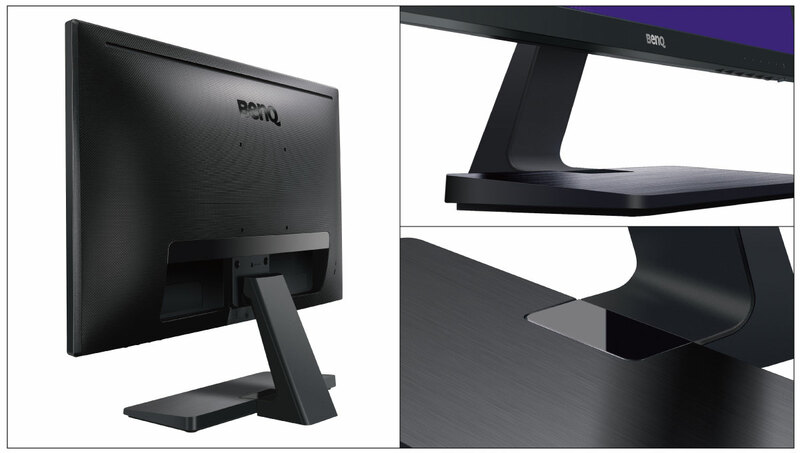 BenQ's newest 28-inch monitor is packed with low blue light eye care technology, allowing you to enjoy streaming without sacrificing your vision. Work and browse in this VA panel's true 8-bit color. The GC2870H monitor is a versatile option for both home and office, with sleek aesthetic design to boot. Embodying "less is more" minimalist design, GC2870H delightfully complements any modern space. Every aspect of form and function is reduced to unify simplicity and aesthetics. Enhancing visual pleasure and optimal eye comfort with BenQ exclusive eye-care technology, GC2870H celebrates minimalism and modern lifestyles as a gateway to everyday enjoyment for business and leisure. Computer monitors emit a strain of blue spectrum light that may cause eye damage, eye strain, headaches, and sleeping disorders. BenQ's unique Low Blue Light technology is designed to combat this and protects your eyes during while you use your monitor. Use one of four blue light presets: Multimedia - 30%, Web-browsing - 50%, Office - 60%, or Reading - 70%. BenQ's ZeroFlicker™ technology renders flickering at all brightness levels obsolete in order to reduce eye fatigue. Competitor LCD screens flicker at an average rate of 200 times per second. Your eyes may not see the flickers but they can certainly feel them, which is why this 28-inch GC2870C monitor is the right choice for you. The BenQ GC2870H's 8-bit VA panel delivers seamless color transitions by rendering 16.7 million color shades simultaneously. Its wide color gamut is 85% NTSC, exceeding the conventional 72% NTSC coverage area for better color reproduction (especially in red, green, yellow, and magenta color spectrums). The expanded color gamut combined with 1080p HD produces vivid pictures for Netflix stream, gaming, design work, and more. The expanded color gamut combined with 1080p HD produces vivid pictures for Netflix stream, gaming, design work, and more. The GC2870H's latest HDMI high-speed multimedia interface makes it incredibly convenient to use - enjoy digital entertainment effortlessly.